Wow! Wow!! Wow!!! You guys rock!!!! 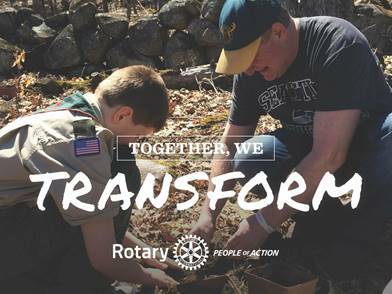 31 of our clubs applied for District Grants for the 2018-19 Rotary Year with total participation of 36 clubs. The total budget for these 31 applications is greater than $170,000. Now, the seven club Foundation Chairs who are on the Grants Review Panel need to do the hard work of helping the grant writers refine the applications and then allocate our limited resources. The total requests for grants is more than double what we have available for District Grants. We will make sure that the Grants Review Panel allocates the funds in an equitable and transparent manner with “best use of funds” being the guiding principle. You may not get all you requested, but we will help you execute your project with Rotary Foundation funds! The grants that were proposed are varied and interesting. Here is a short review by Rotary Area of Focus. Among the grants proposed under this area of focus four clubs wrote grants to address the opioid crisis, others proposed care kits for emergency room visitors in need, first aid course, emergency location devices for individuals with cognitive dysfunction, emotional support dogs, clothing for the needy. Clubs wrote grants for solar panels for electricity in a school in India, sending children to camp in summer, scholarships, dictionary programs, little libraries, summer reading programs. Clubs wrote grants to improve a gazebo, community gardens, a wheelchair swing, cupola repair, ramps for wheelchairs, benches, improve a walking trail, planting saplings. Feeding the hungry is a prominent need identified by our clubs. Entered were food packaging events, back packs for the weekends, community suppers, community gardens to support food pantries, and beds for children. As you can see we are touching many people in many ways. It makes us all proud to be a Rotarian. And we will continue DOING GOOD IN THE WORLD and BE AN INSPIRATION..